I finished this last week but of course I'm just now getting around to posting the picture. 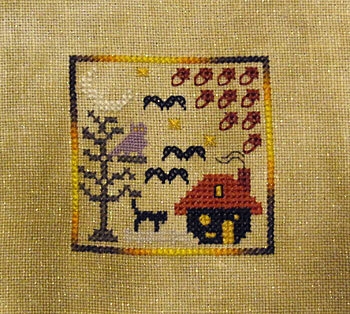 This is the "Acorn House" from this year's Just Cross Stitch Halloween ornaments issue. I don't often get the hand-dyed or over-dyed floss that a lot of these designs call for (I use the DMC or Anchor substitutions), but I just happened to be in the local needlework store when they had their Weeks Dye Works floss on sale. So, I picked up a couple of skeins of "Trick or Treat" which is the color around the border on this design. I love the way it looks! 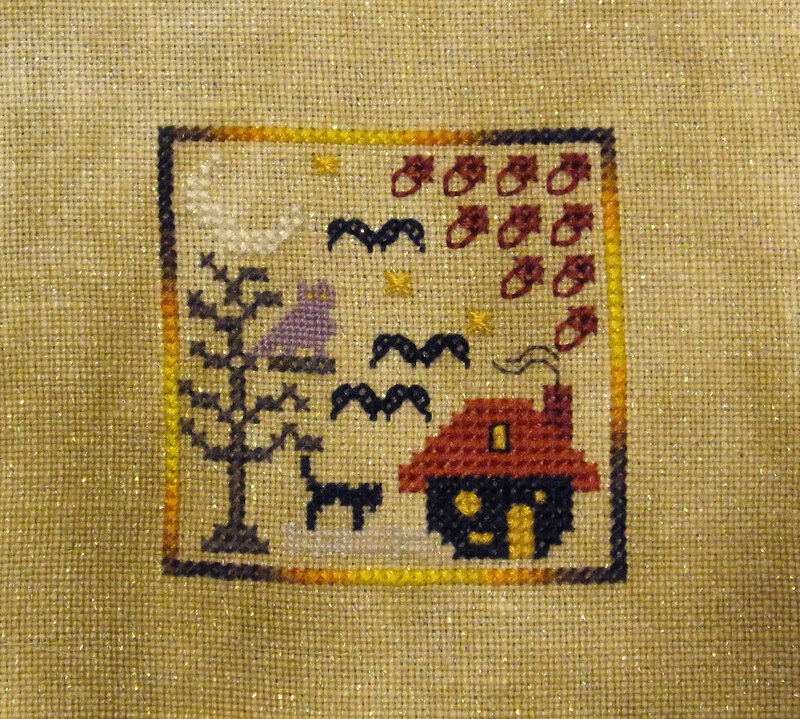 The original in the magazine was stitched on a darker fabric, but I didn't really have anything on hand that I liked, so I went with this lighter one instead. Some parts don't look as good on the fabric I chose, but some of it looks better. I should have oriented it a little different so that some of the lighter stitching ended up on a darker part of the hand-dyed fabric. Oh well.